Mosler Lofts | Cary Kopczynski & Company, Inc.
Mosler Lofts is Seattle’s first LEED Silver and “BuiltGreen” condominium. 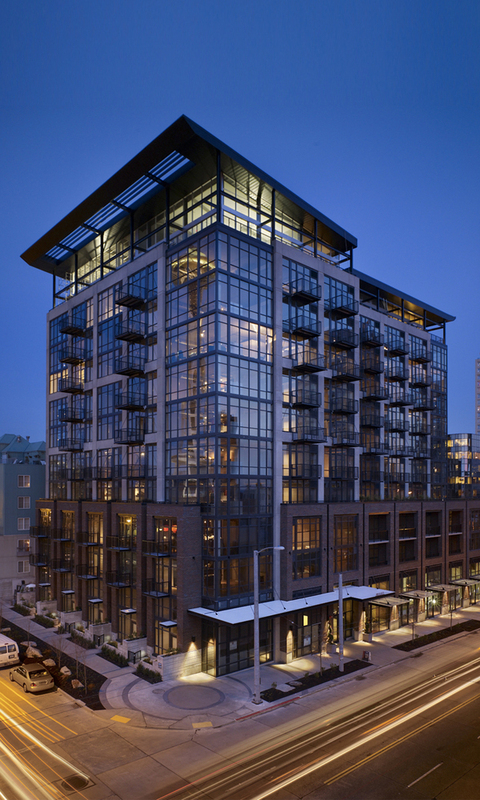 It exemplifies the Pacific Northwest’s pride in incorporating sustainable or “green” building practices. The structural design included sustainable considerations to optimize the structural layout and reduce structural material quantities. The structural frame consists of cast-in-place concrete with post-tensioned slabs and a shear wall core. 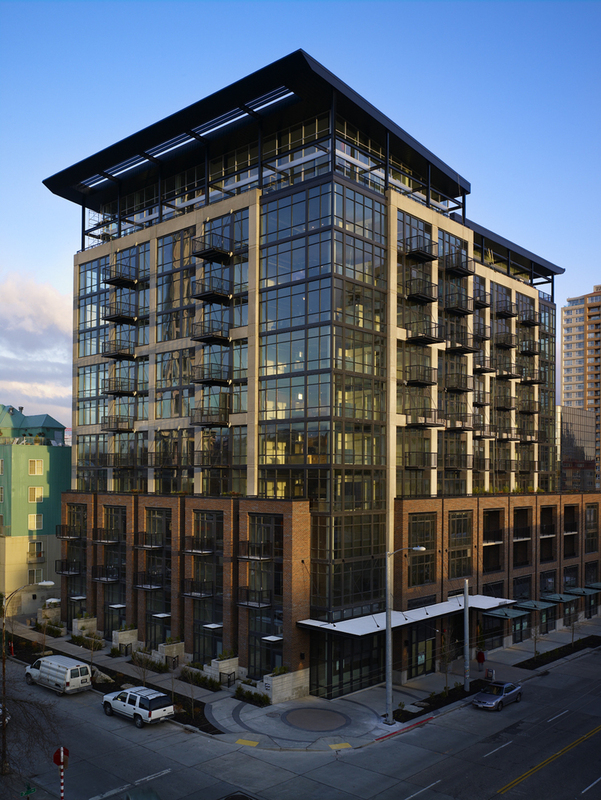 Structural steel was used at the penthouse level to accommodate the dramatic roof geometry and allow relocation of columns and major load points.